Jan Zubrzycki was a prolific architect who in the course of his life designed some 40 churches and 25 other buildings in Galicia and Bukowina. Christened “Joannes Carolus”, Jan Sas Zubrzycki was born in Tluste on 25 June 1860 to parents Marcellus and Victoria. His father was headmaster of the one-room school and had the title of doctor. Marcellus, of Polish extraction, died in 1880 and is buried in the old cemetery of Tovste. The family lived on the grounds of the schoolhouse, situated at the southwest corner of the reservoir. Undoubtedly, the young Zubrzycki would have been influenced by the architecture to which he was exposed while growing up. He lived within sight of the Roman Catholic church which, in its original design (that preceded the one pictured here), was a rather austere building. A little further away, the huge wooden structure that was the Greek Catholic church dominated the Tluste skyline. Both buildings would be the focus of his attentions later in life. Notwithstanding the limited educational opportunities that existed in eastern Galicia in his day (see also Life and Times), Jan Zubrzycki was evidently one of the privileged few who benefited from higher learning. He left Tluste to study in the Lviv Polytechnic Institute and eventually found himself in Krakow, where his architecture career began to blossom. Zubrzycki also began a family there, but in this respect he was not so fortunate. His first wife, Luezi, died in 1890 from tuberculosis, and his only son from the marriage, Ludomir, suffered a similar fate in 1909 when he was just 21. Zubrzycki remarried, to Luezi’s younger sister Julia, and together they had a daughter, Lucja, born in 1893 (pictured opposite). 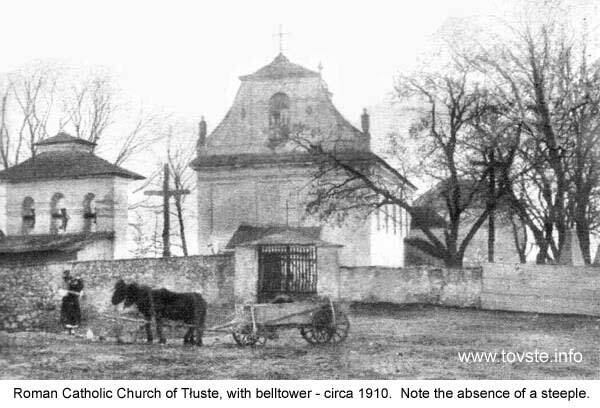 While still living in Krakow, around 1911-12, Zubrzycki returned to his birthplace where he oversaw the construction of no fewer than four churches in the area, beginning with Tluste’s modern Greek Catholic church in 1912. Apparently, it was with reluctance on his part that the old wooden structure was torn down, in keeping with the wishes of the townspeople, in order to make way for the new one of his design. Little did they know that its construction would last nearly three decades! 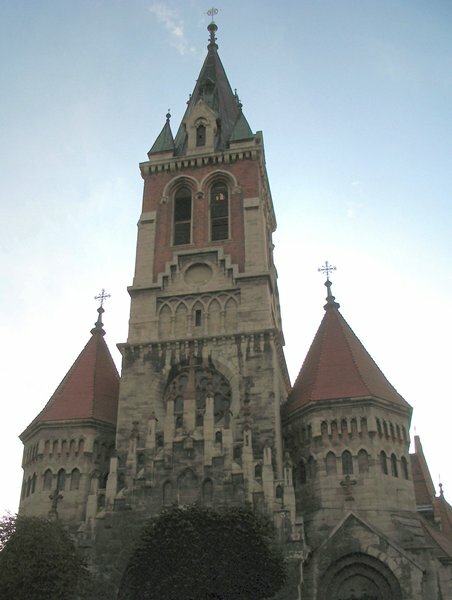 Around that time, Zubrzycki also oversaw the complete transformation of Tluste’s Roman Catholic church, adding a 26-meter high steeple that enhanced its character tremendously. 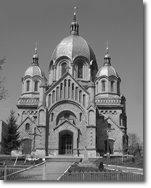 One of his more ambitious works was the construction, in 1918, of a massive Roman Catholic cathedral in the town of Chortkiv, 18 km north of Tluste. However, Zubrycki’s ingenuity was not reserved entirely for architectural designs of such grand scale. One of his last projects was the small Roman Catholic chapel in Rozanowka village, two kilometres southwest of Tluste. Construction of the lovely church was said to have been financed by a local Jewish entrepreneur by the name of Steckler, since the villagers were too poor to pay for it. 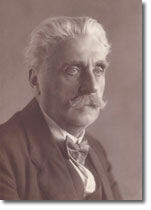 In 1913, during this period of intense productivity, Zubrzycki moved from Krakow to Lviv, where he became a professor at the Polytechnic Institute. It was there that he captured his personal reflections on Tluste in a monograph he published in 1923, the same year that his second wife, Julia, died. Written in Polish, the 54-page monograph offers unique insights in the ancient history and architecture of Tluste. Apart from being a valuable source of information about its past, it serves as a lasting testament of the author’s personal attachment to the town. 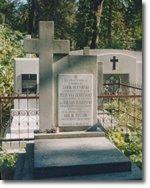 Jan Sas Zubrzycki died on 4 August 1935 and is buried with other family members in Lviv. His legacy lies in the dozens of his architectural designs throughout eastern Galicia that came to fruition and which are still visible today. A search on the internet reveals that his name appears in dozens of scholarly works and articles, mostly written in Polish, but some are from as far afield as Germany and Belgium. In 2004, Zubrzycki's remarkable life’s work was honoured with a display, in Poland, of many of his creations. The exposition began in Krakow and was to have moved to Warsaw by the end of that year. If you would like offer to translate the Zubrzycki monograph from Polish into English or to make resources available for its translation, please drop me a line via the Feedback page. Pawlyk, J. 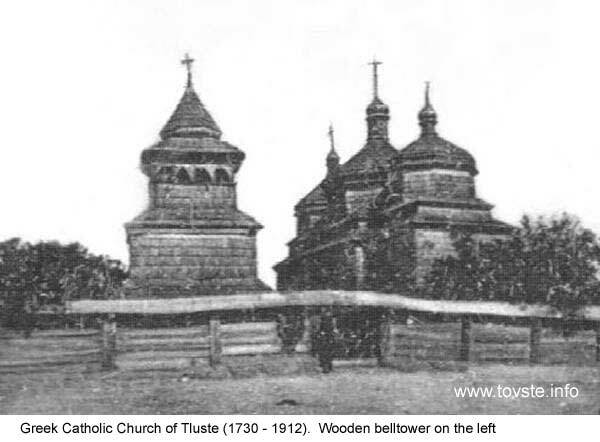 History of Tovste. Chortkiv, 2000; and pers. comm.